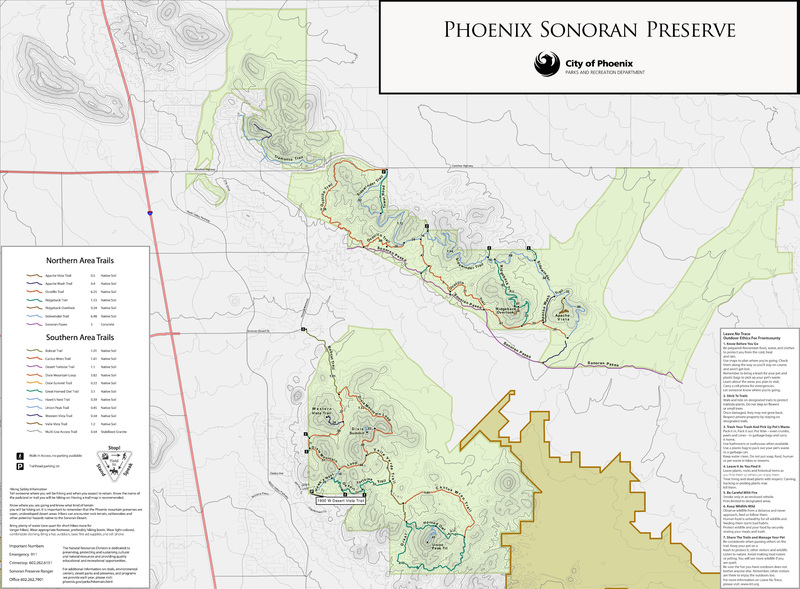 This is a new trail in the Sonoran Preserve North. 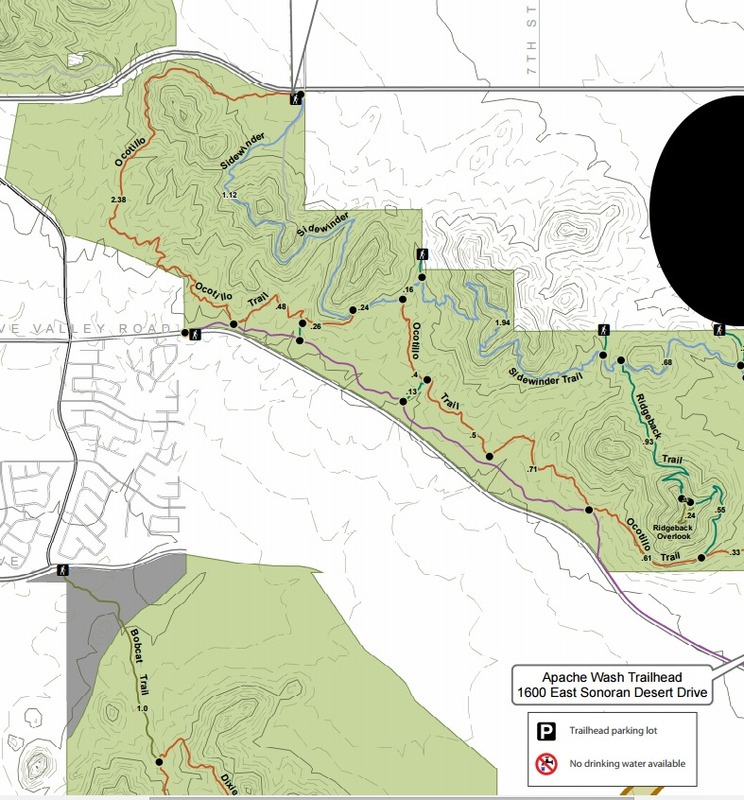 This trail includes the old Apache Wash which was really a short connector to Sidewinder and Ocotillo Trails. But now the trail is a nice loop that is just under seven miles. The hike itself is easy and is well defined. As I did this trail I noticed signs for two other new trails I'll have to check out. 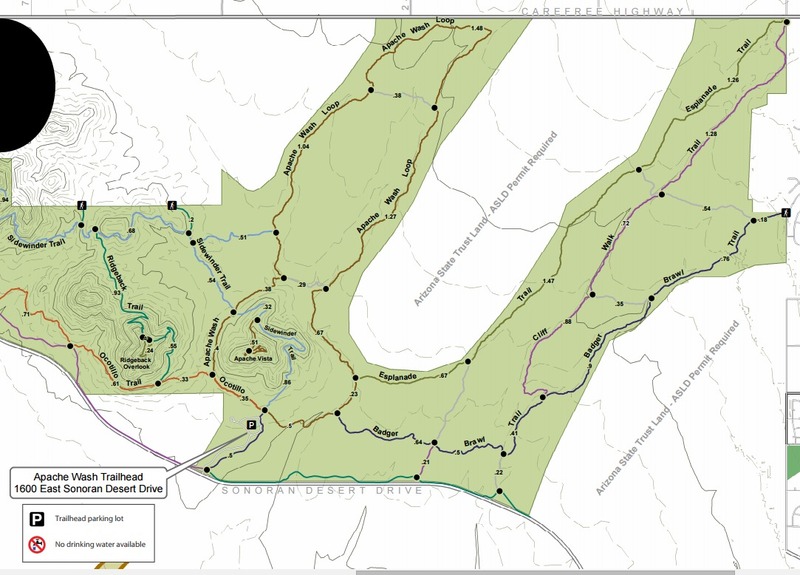 These new trails will be mostly enjoyed by bike riders so if you ride a bike check them out. As for hiking I really enjoyed it. The weather was nice. Everything is nice and green. I expect this place to be full of flowers in March. The loop itself almost connects to Carefree Highway at 24 Street before it turns back and heads to the trailhead. There is a lot of different areas to enjoy as the vegetation changes throughout the hike. I crossed over 4 or 5 washes so when it rains there could be water. I did notice a lot of horse tracks since the last rain so be aware. From Phoenix take the 101 east and exit on N Cave Creek Rd. Head north until you reach E Sonoran Desert Dr and turn left. Drive about 5 miles and turn right on Apache Wash Trailhead. There is restrooms at the trailhead.